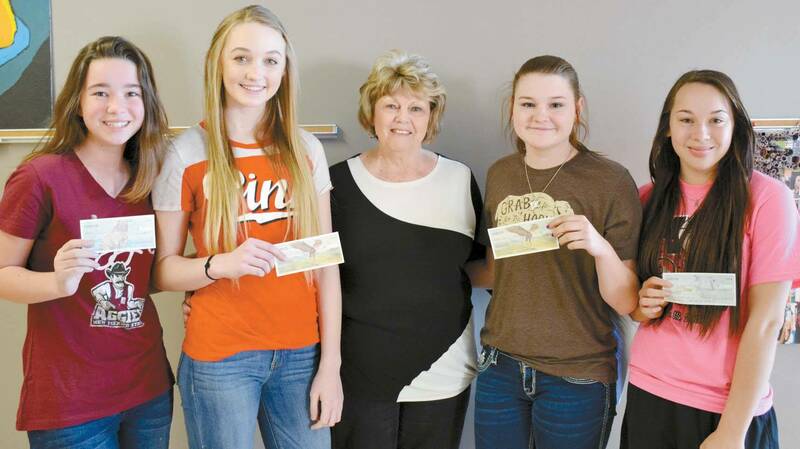 WINNERS…Frances Dearing, president of the Cheyenne Platonic Club presents checks to the Freshman Essay Contest Winners. L-R: Taylor Choate, 2nd place; Lockland Lippencott, tied 1st place; Fraces Dearing, Sydney Bottom, 3rd place and Faith Bryan, tied 1st place. The GFWC Cheyenne Platonic Club held their annual Essay Contest for Freshman and Sophomore students at Cheyenne High School.